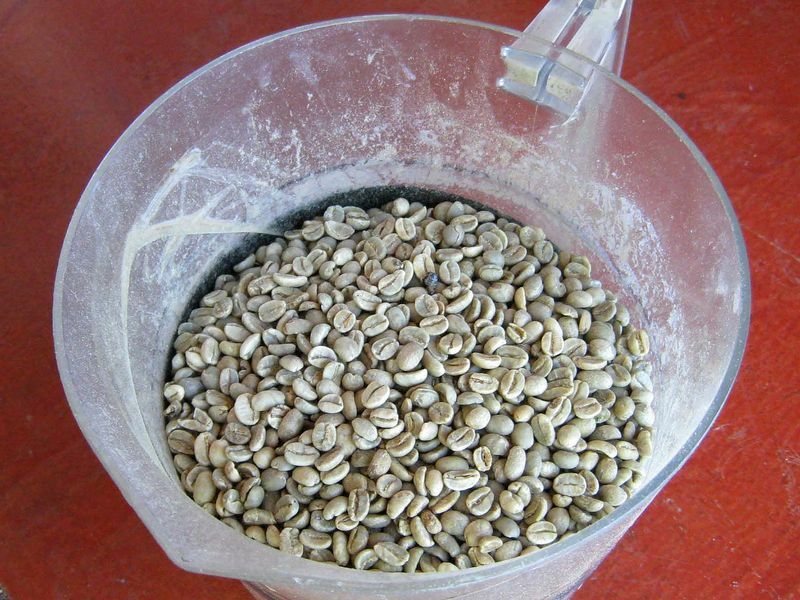 Green Coffee Bean Extract – Too Good To Be True? Green coffee bean extract is currently one of the best-selling weight loss supplements out there. Does it really do anything? Let’s review it a bit. Didn’t I discuss coffee as weight loss supplement just a while ago and it turned out that the effect was small almost imperceptible? But, oh well, let the industrious minds in the supplement industry zero in on one of the hundreds of chemical compounds contained in coffee. Then let them grasp any small study that looks like it could support their claims, and they have another winner. The slimming action of Svetol® refines your form, while its Beauty effect harmoniously redefines your contours. Scientifically proven, Svetol® is today’s exclusive solution for weight loss and beauty. I looked up the referenced study (PDF) and, what a coincidence, the researchers named S(ophie) Lafay and B(enoit) Lamaire are conveniently employed by “Berkem”. Berkem was another company involved in the sales of plant extracts. Their responsible subsidiary was later bought by none other than our friends at Naturex. The only other study finding a weight loss effect of green coffee extract I am aware of was done in India. Scott Gavura of Science-Based Medicine did a great job looking at its quality: no disclosure about how exactly it was conducted, done by scientists who never worked in obesity research, and published by an obscure scientific magazine whose critical evaluation of whatever it publishes is, shall we say, lacking. It was also sponsored by the other current big player in green coffee extracts, Applied Food Sciences, Inc.
As soon as we turn to research that is neutral, things become very underwhelming. When researchers at the University of Exeter compiled a review of papers that claimed weight loss effects of green coffee extract, they found the “quality of the studies […] poor” and that any effect of the extract “is small, and the clinical relevance […] uncertain”. So much for the eggheads. Now what about people who conducted their own research with themselves as test subjects? Looking over reviews posted on amazon.com about one supplement containing Svetol, the tune seems to be that those who lost weight on it were those who also made significant changes to their eating and fitness habits. One five-star reviewer says he lost weight with Svetol but also “exercises and follows a healthy diet”, another that her husband “with some changes in his diet” lost 40 lbs on Svetol. I took the product exactly as directed and weighted myself weekly. It looked as if I lost 1 pound the first week, but nothing since. I ate normally and did not increase my exercise. Others even said their weight actually had increased since starting the product. It might also be of interest to note that of the current 36 five-star reviews written about the supplement, 20 are by people who have only reviewed this one product or just one other. If you followed the above link to Science-Based Medicine you noticed it was none other than my favorite Dr. Oz who did his best to get green coffee extract sales off the ground. The same Dr. Oz that was behind much of the Acai berry health wonder and the raspberry ketone fat loss miracle. Until research of better quality about green coffee extract / chlorogenic acids comes in, my recommendation simply is: If Dr. Oz recommended it, it’s a good idea to not buy it. Pictures courtesy of Caroline Gagné and Dru Bloomfield. Being a skeptic myself, I’m loving these posts. Highly amusing, and they cut right through the BS. Keep up the good work! Thanks for putting the work in on this topic. I am trying to be more aware of what I eat and what benefits different food and suppliments have for my health but it is a lot of work and I am as easy to fool as the next consumer! “Good” in what sense? That they don’t have side effects or that they work? The latter is unlikely, the former anyone’s guess.